You can post images to your Pinterest profile by connecting your Pinterest account to Viraltag. 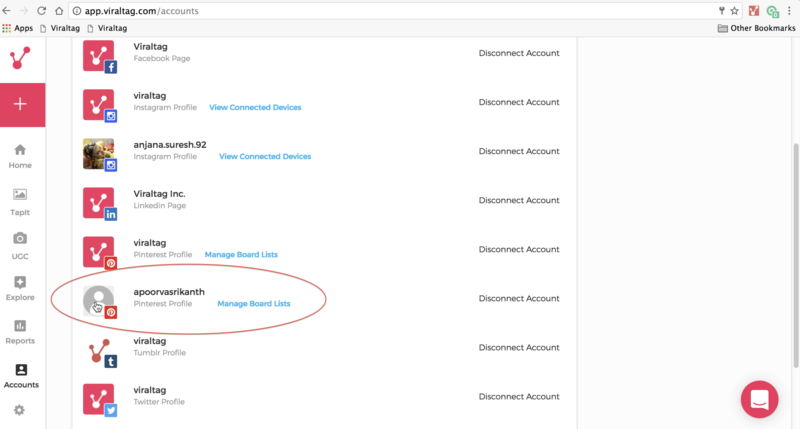 You can view the video demo or refer to the detailed steps below to request for Pinterest access. 1. Click on the "Connect" button next to the Pinterest icon. 2. 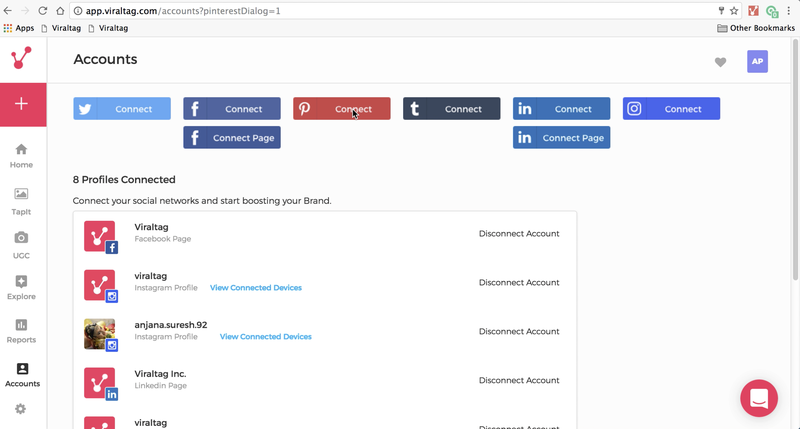 You will be redirected to the Pinterest page and you'll be prompted to enter your Pinterest login credentials. 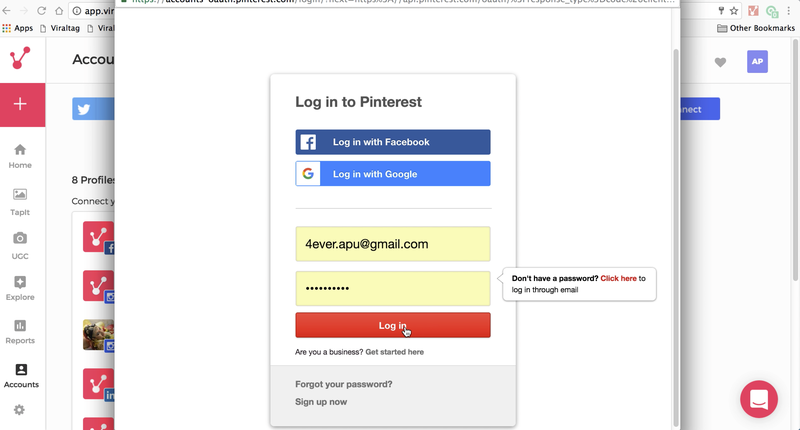 Enter your Pinterest login ID and password and click on "Log in". 3. 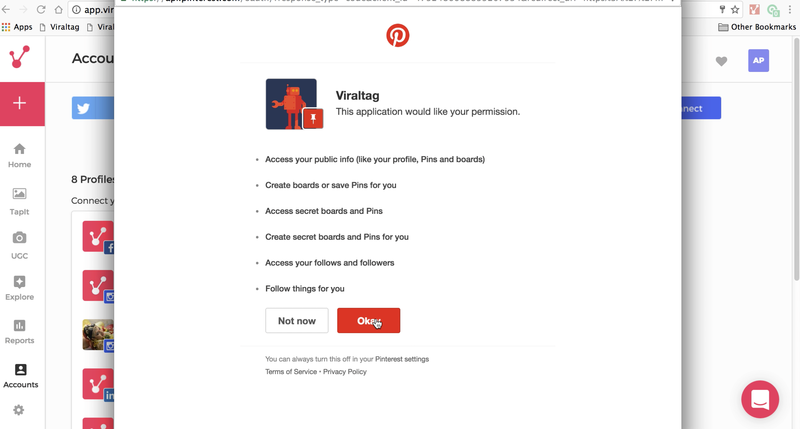 You'll be asked to provide permission for Viraltag to post to your Pinterest account. Click "Okay" if you would like to proceed. 4. Your Pinterest account is now connected to Viraltag. You're good to go! You can now schedule posts to your Pinterest account.